History of the McKeen Motor Car | The McKeen Motor Car Website History of the McKeen Motor Car | The Compendium of Knowledge on the McKeen Motor Car Company, and their experiments. Written by Madison Kirkman, 10/8/14. The first McKeen Car was built in 1904-5, and was reported complete in March of 1905. This car was built with a steel frame and wood body, was 31′ feet long, and sat 25 passengers. It had a Riotti 50 H.P. Gasoline engine, which, when tested in the Omaha Yards, proved too weak for a train car of that size, and in two months, a 100 H.P. Riotti engine was fitted before it was sent off to Grand Island, Neb. for further testing. McKeen Car #2 was finished in September of 1905, was 56′ long, of all steel design, and sat 38 passengers. This car was the first to have a four axles on two trucks. Later on, cars of the short design were 55′ long, and of the long design 70′ long. The company soon boasted about these designs in advertisements in newspapers, articles, science and railroad magazines. They talked about the knife-edge nose/semi-circle rear, the round windows, the drop-center door, the air ventilation system, the self contained engine inside the vehicle, the water-proof floor (for easy cleaning,) and the 96% mechanical efficiency from the engine to the wheel. The knife-edge nose and semi-circle back was part of the aerodynamic design. That shape, with a pointed nose and rounded end, was tested by the Germans during their testing, and it showed great reductions in drag. It wasn’t until years afterward that the the round shape was moved to the front, and the point to the back, which, ironically, proved more efficient than McKeen’s design. 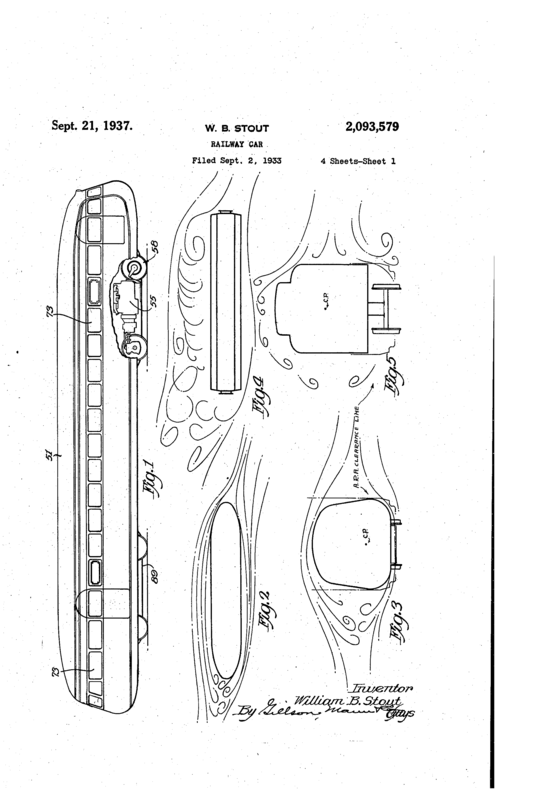 McKeen boasted in one article that, with a flat front train car, 87.5 H.P. is spent on the air resistance, while on a McKeen car only 21.9 H.P. is spent on the air resistance. That’s a reduction to 1/4 of the amount of force needed. U.S. Patent #2,093,579, this design patent was published in 1933, 28 years after McKeen’s first aerodynamic motor car. The round windows were a key feature of the McKeen Motor Cars, and few other car manufacturers used the idea. 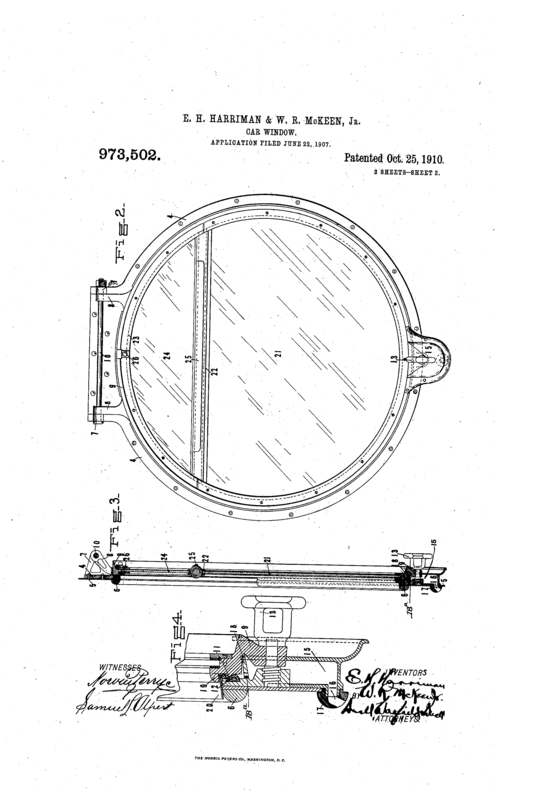 Mr. McKeen and Mr. Harriman together patented the porthole window design for land use (Note: porthole windows existed on ships before they appeared on land. The windows had a water catch built into the frame, so as it rained, hailed, snowed, etc., the water would pour into the bottom of the frame of the window and drip out thought a hole in the outside of the frame. They were advertised as “Water-Proof, Dust-Proof, and Wind-Proof.” and they were also advertised as a better window than square windows, not only does it not warp over time, like a square window could, but the round window also lifts up, so all of the glass is out of sight, above your head. This was an improvement on the two pane square windows whereas there is always some glass obstructing your view. 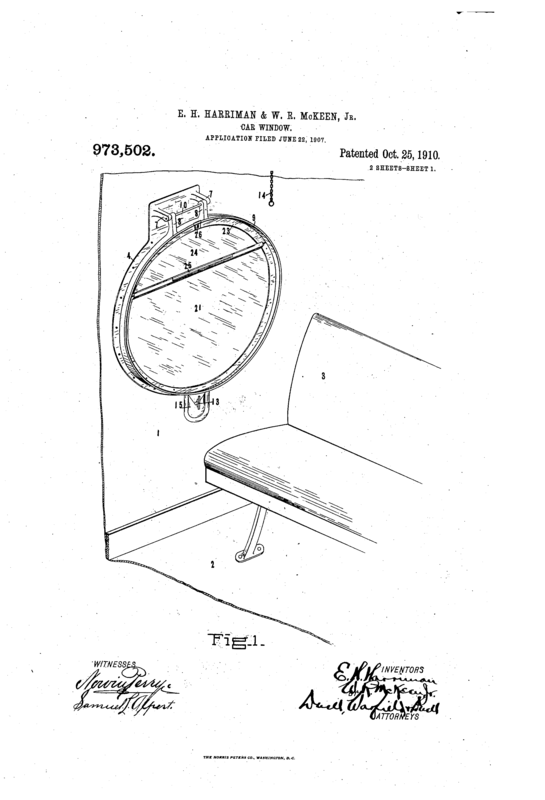 The drop-center door, which is still used today in many trolley cars and buses today. The idea allows the best flow of traffic through two doors. The steps for getting up inside were recessed inside the body of the car, preventing snow, rain, hail, ice, dust, and other things from getting inside like the permanently open Pullman coaches. 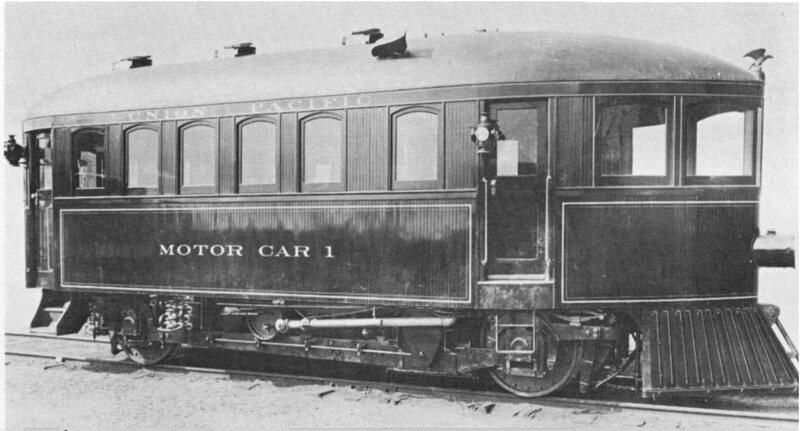 The Pullman coaches also had the doors on the ends of the car. This meant that in a collision with another train, the doorway would get crushed, and passengers were stuck inside until a hole was opened. McKeen put the door in the center where minimal collapsing would occur. The low steps also allowed people to step on board whether or not you were at a raised platform. The air ventilation system utilized 2 different ventilators, one for normal all flow, and one to carry the heat from the cooling pipes from inside the coach. The gasoline powered engine created a lot of heat, which could be used to circulate through the car to warm it during cold weather. Some claims reported that the ventilation system didn’t work well, but at least one railroad in New York claimed it worked satisfactory during the winter. This is what the ventilator looked like that channeled air next to the cooling pipes and warmed the car. 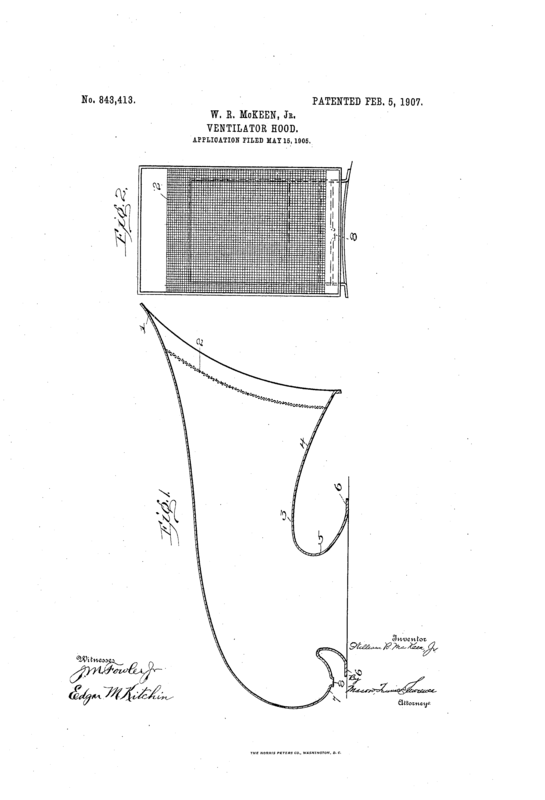 This was patented by McKeen, like most of the innovations used on his cars. The self contained gasoline engine was a huge advantage over steam power, as one motor car, which weighed 30-34 tons, did the job of an entire steam train, which weighed about 400 tons. 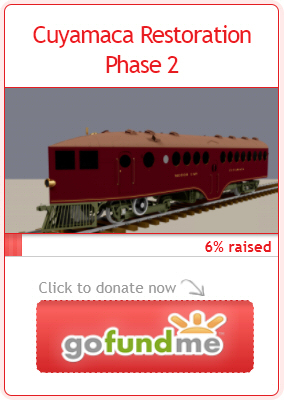 Because of this advantage, the idea of a “Rail Motor Car” took off almost instantly. The gasoline engines however, were not satisfactory to propel the load at hand. 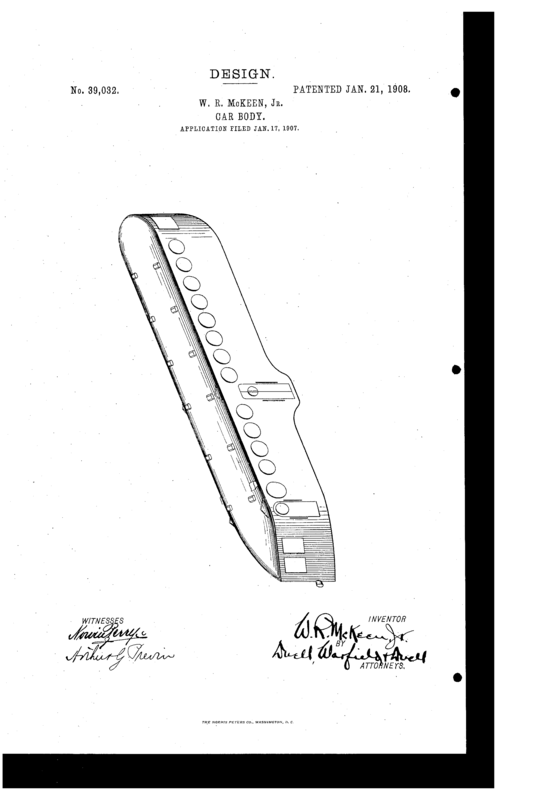 For a train car that weighed 30 tons when light, a 200 H.P. engine was undersized at best, and many troubles soon arose. However, for what they were, the efficiency of the engines was about 96%, meaning about 96% of the energy from the engine reached the wheels. Along with that, McKeen cars operated at average speed ran about 2.4 Miles to the gallon, which for a 30 ton vehicle is pretty good. Even today, military tanks that weigh about 60 tons, get less than 1 M.P.G.. 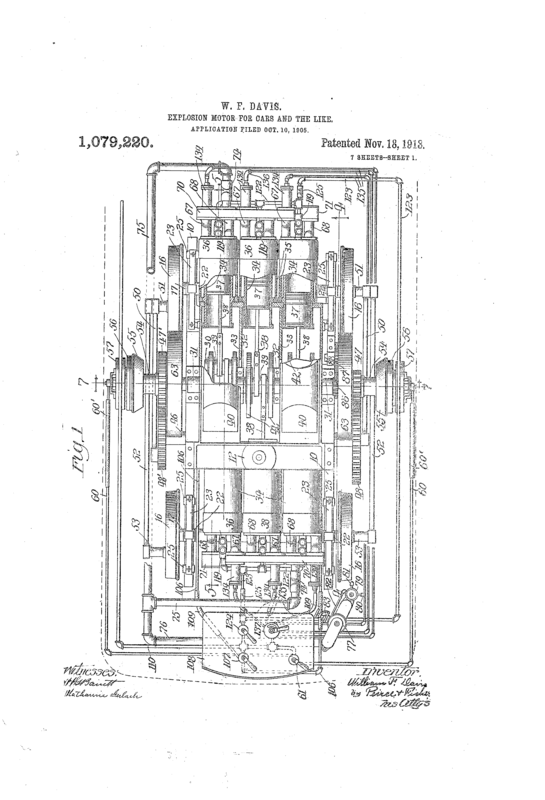 The McKeen Engine was designed in 1906, so for only 20 years of gasoline technology, the statistics prove interesting. This accident happened on the St. Joesph and Grand Island Railroad, which owned 5 McKeen cars, but this accident occurred between two 70′ McKeen cars, going about 35 to 40 M.P.H. each, (about 80 M.P.H. combined.) Both cars were full of passengers, and the cars were on a tight curve, when they collided. Not one passenger or engineer left with a broken bone, and every single wheel stayed on the track. Both motor cars were severely damaged, but it is believed that both were fixed at the McKeen Car factory and were back in service about 6 months later. The design, no doubt, was amazing for 1910, but the problems mostly laid in the gasoline engine and the mechanical drive system. The engine, first of all, was under-powered for it’s job, and the pneumatic clutch often made the wheels slip, or the engine stall. There was a story about the first McKeen car, which may have happened to foreshadow the failure of the motor cars. In the yards of the railroad, the engineer had tried to start the engine which refused to start the cycle. After much trial and error, the engineer called up a team of 4 horses to hitch to the front coupler. The engineer left the clutch engaged, and the throttle on full, and left the cab to get the horses to start the engine. Well, as soon as the engine started, it started up, and ran into the horses. It took a little longer than that for the engineer to get back in the cab and disengage the clutch. Needless to say, that method was never used again. 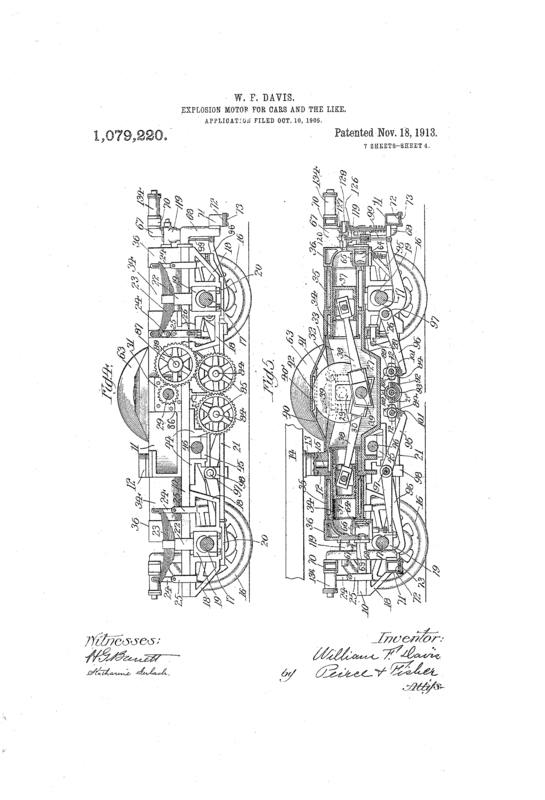 Although never produced, Mr. McKeen patented an engine that was no taller than the top of the 42″ wheel, and it would save space in the cab by running the cylinders of the engine parallel to the track. This design might have saved the McKeen Motor Car Company from bankruptcy in 1918-1921. However, considering the size of the engine, (an estimated 4102 Cubic Inches,) it would have had been less powerful than the 200 H.P. engine, which were 5650 Cubic Inches, and the 300H.P. engines that were about 9200 Cubic Inches.